More and more companies get interested in using artificial intelligence in healthcare. That’s no surprise, as AI systems can dramatically improve the quality of healthcare services and allow health facilities to cut costs. IBM, Google, Amazon, Microsoft, and Apple are already investing massive amounts of money in smart healthcare. Smaller companies try to keep pace with modern advances in medical technologies, too. The main areas of interest are medical diagnostics, drug development, and mobile health (mHealth). Many experts believe that artificial intelligence will be widely used for medical diagnostics in the future. Diagnostic systems will be able to analyze a patient’s medical history and examination results very accurately, without missing a single detail. Artificial intelligence will also minimize medical errors and help prevent many diseases by monitoring the patient’s condition. Artificial intelligence can bring dramatic improvements to drug development. A pharmaceutical company may spend years to develop a new medicine. But a neural network can build the desired molecular structure based on the given properties. Modern technologies can help you stay healthy without going to the doctor’s office. AI-based mobile healthcare (mHealth) basically means using a wearable device (such as a smart wristband, smartwatch, etc.) with your smartphone to monitor your health. Artificial intelligence can also be successfully used for genetic analysis and personalized treatment selection. Blockchain is currently hyped so much that it looks like it will be used everywhere soon enough. For example, a recent article on The Next Web says that Washoe (a small county surrounding Reno, Nevada) is going to use blockchain for marriage registration. Blockchain can actually bring improvements to many different areas, including healthcare. You can use blockchain to build a distributed platform for secure transactions in healthcare data and services. Blockchain is inherently resistant to data modification, which guarantees data integrity. Skychain is a blockchain infrastructure intended to host and train healthcare AI systems. Skychain’s goal is to bring together neural network developers, healthcare professionals, patients, insurance companies, and healthcare data providers. Blockchain will enable easy and secure transactions between these parties. Machine learning technologies will dramatically increase the accuracy of diagnosis. 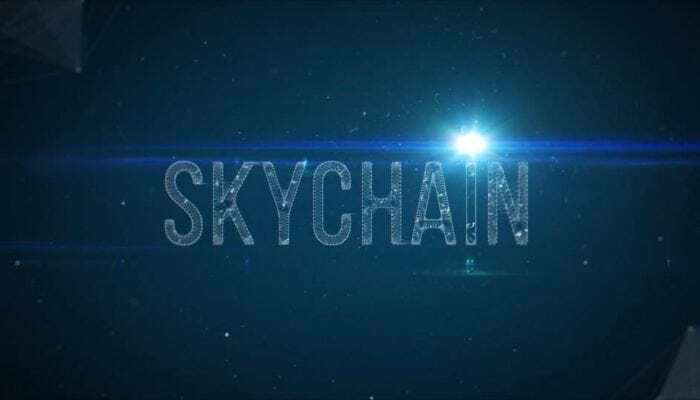 Skychain’s ICO was held from February 26 to April 8, 2018. Though Bitcoin and other major cryptocurrencies slumped in March, Skychain has successfully sold 10.3 million SKCH tokens. Now the project team is developing some neural networks to diagnose diseases by analyzing magnetic resonance (MRI), computer tomography (CT), and X-ray images; electrocardiograms (ECG); and tissue sample images. Skychain’s neural networks have already achieved good accuracy. On average, they correctly diagnose the disease in 75 out of 100 cases. The project team will do its best to improve the system and bring it to the market as soon as possible. It is expected that the system will perform well and quickly draw a lot of users. The Skychain project is based on the most effective modern approaches to healthcare. It is going to gain a dominant position in the healthcare AI market.